The Gridiron II has been updated with the World Championship winning carcass borrowed from the Impact tire. 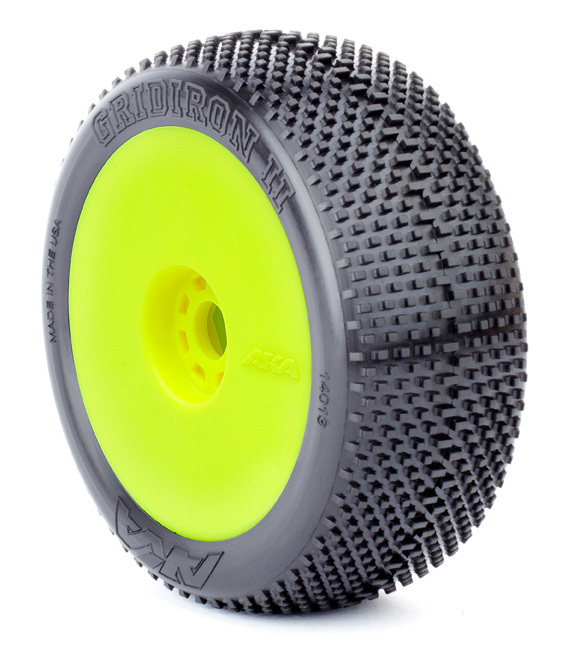 Waffle ribbing has been added to help control tire expansion and the side pins are angled for better performance on rougher tracks. The tire is 5% lighter than the original, improving acceleration and all-around performance. The Gridiron II is available in AKA's proprietary, World Championship winning compounds. Designed, tested, and proudly made in the USA.